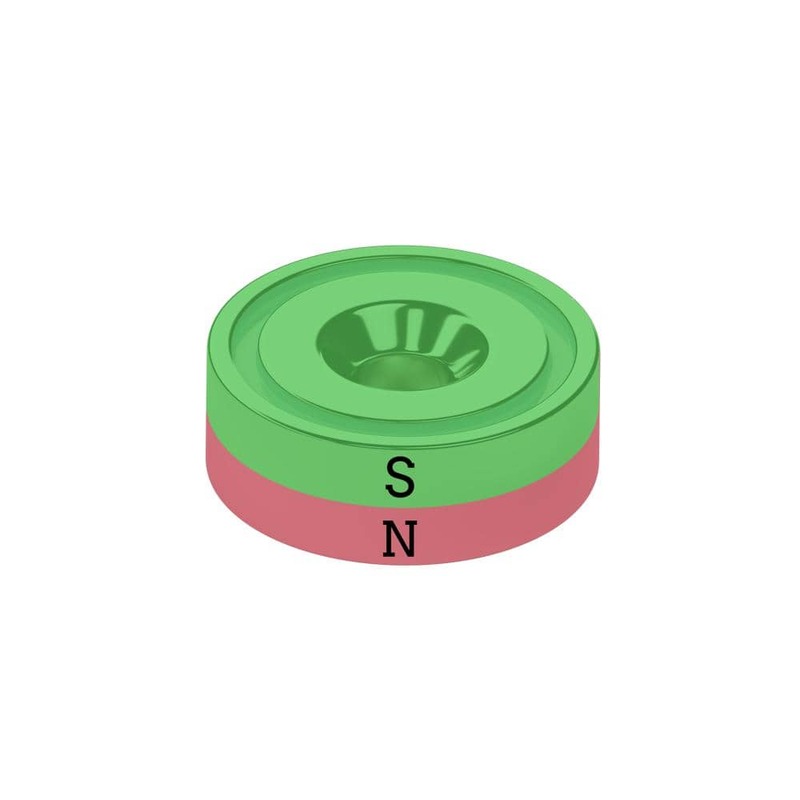 Neodymium reduction magnet 10 mm. 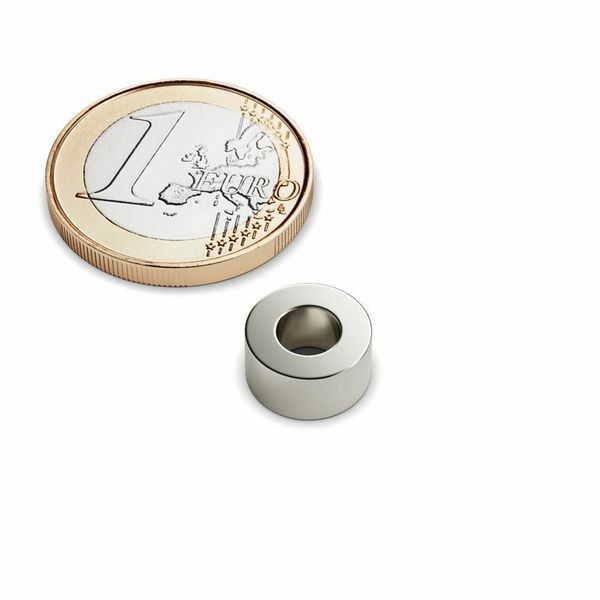 This disc magnet with bore and counterbore has a 10 mm outer diameter x 3.0 mm bore x a 7 mm countersink and a x 3.0 mm height. This is a full magnet (no cup magnet) Ni-Cu-Ni. This neodymium magnet has an adhesive force of 1.3 kg for a size of 10x3 mm and is perfect for mounting on walls and the like. By sinking or drilling, your screw heads will disappear and you will get a smooth surface.